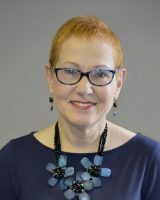 Dr. Minshew is a board certified neurologist and ounder of the Center for Excellence in Autism Research at the University of Pittsburgh and past director of the Collaborative Programs of Excellence in Autism (CPEA) and the Autism Center of Excellence (ACE). Minshew’s primary academic appointment for the past 30 years has been in a leading research psychiatry department which brought her face to face with many children and adults with autism and the challenges they and their parents encountered. After two or three years of intensive clinical work, I realized that the only way to make improvements in the lives of the many people affected by autism was through research that would advance the understanding of autism and the mechanisms underlying it. Over the next 30 years, I developed a large collaborative program of autism research focused on the elucidation of the cognitive and brain basis of autism at ever finer levels, and on the search for its genetic basis through participation in several national and international consortiums. Our research was the first to propose that autism is a disorder of higher order abilities across domains and a distributed cortical systems disorder that results from disturbances in the development of brain connections during early brain development. Our subsequent research generated extensive evidence in support of these hypotheses and a clear understanding of the cognitive and brain bases of autism. Recent genetic findings have supported the involvement of early brain developmental events important to the development of cortical systems and their interconnections. Collectively, this research provided the foundation for our shift in focus ten years ago to the developmental of new mechanism-based interventions for individuals with ASD. Our intervention research is led by Dr. Shaun Eack who is trialing a comprehensive (18 month neurocognitive and social cognitive) rehabilitation program for adults with ASD without intellectual disability and Dr. Carla Mazefsky who is developing and trialing interventions for emotion dysregulation and the resulting challenging behavior in adolescents with ASD without intellectual disability. Dr. Mazefsky also leads one of the inpatient hospital research sites investigating challenging behavior in children with severe autism. Professor of Psychiatry Principal Investigator NIH/NIMH “Cognitive Enhancement Therapy for Adult ASD”. Dr. Mazefsky is a licensed clinical psychologist specialized in autism spectrum disorders (ASD) and an Associate Professor of Psychiatry at the University of Pittsburgh School of Medicine. Dr. Mazefsky was the 2012 recipient of the Ritvo/Slifka Award for Innovation in Autism Research from the International Society for Autism Research. She is the associate editor of the Journal of Autism and Developmental Disorders. Dr. Mazefsky’s research has been funded by the Organization for Autism Research and the National Institute of Child Health and Human Development. Her program of research is focused on emotional dysregulation in ASD, including the identification of underlying neural mechanisms, the conceptualization, treatment, and assessment of problems with emotional control, and co-occurring depression and anxiety. While most of her research to date has focused on high-functioning adolescents with ASD, she is expanding to more of a lifespan perspective, and is now conducting research on psychiatric inpatients with ASD as part of a multisite study to better understand and improve outcomes for those most severely affected by the disorder. Dr. Behrmann also has appointments in the Center for the Neural Basis of Cognition (Carnegie Mellon University and University of Pittsburgh) and in the departments of Neuroscience and Communication Disorders at the University of Pittsburgh. She received a B.A. and M.A. at the University of the Witwatersrand, South Africa, in Speech and Language Pathology, and a PhD in Psychology at the University of Toronto. Her research is on the psychological and neural mechanisms that underlie the ability to recognize visual scenes and objects (common objects, faces and words), represent them internally in visual imagery, and interact with them through eye movements, reaching and grasping, and navigation. The major research approach is the study of individuals who have impairment in visual perception, including individuals who have had a stroke or selective trauma, and individuals who are autistic. This behavioral/neuropsychological approach is combined with several other methodologies, including measuring accuracy and response time in normal subjects, simulating visual processes and their breakdown following brain-damage using artificial neural networks; and examining the biological substrate using functional neuroimaging to evaluate patterns of cortical activity. Dr. Just is a recipient of the NIMH Research Scientist Award, a Principal Investigator on Office of Naval Research grants related to spatial reasoning, computational modeling and individual differences, and grants from NIMH. He is the author of major theoretical and empirical publications on reasoning, cognitive modeling, language processing, visuo-spatial reasoning, individual differences, and neuroimaging. Dr. Just is a Fellow of the American Association for the Advancement of Science. He is also a founding Co-Director of a brain imaging research facility that houses a state-of-the-art MRI scanner funded by the National Science Foundation. Dr. Just’s research uses brain imaging (fMRI) in high-level cognitive tasks to study the neural basis of the architecture of cognition. The fMRI studies attempt to determine the underlying cortical components of the cognitive system and the nature of the collaboration among the components in many different types of tasks. The individual projects study high-level cognition, such as various working memory tasks in the language and spatial domains, sentence comprehension, mental rotation, imagery, object recognition, problem solving, and decision-making. fMRI results are being used in the development of a theory of cognition based on the dynamic, collaborative activity of the relevant components, each drawing on its own set of relative specializations. This approach provides a mapping between cognitive function and brain activation.